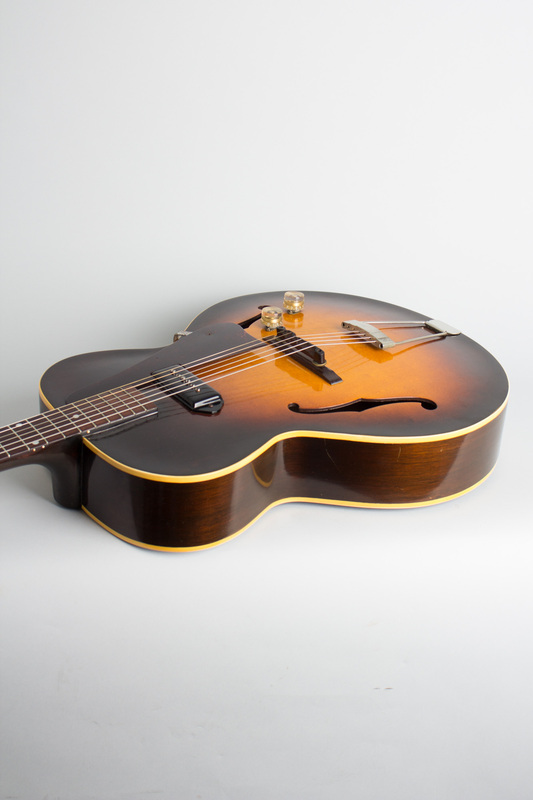 Gibson ES-125 Model Arch Top Hollow Body Electric Guitar (1950), made in Kalamazoo, Michigan, serial # FON# 5936-23, sunburst top, dark back and sides finish, maple body,mahogany neck, rosewood fingerboard, original brown hard shell case. 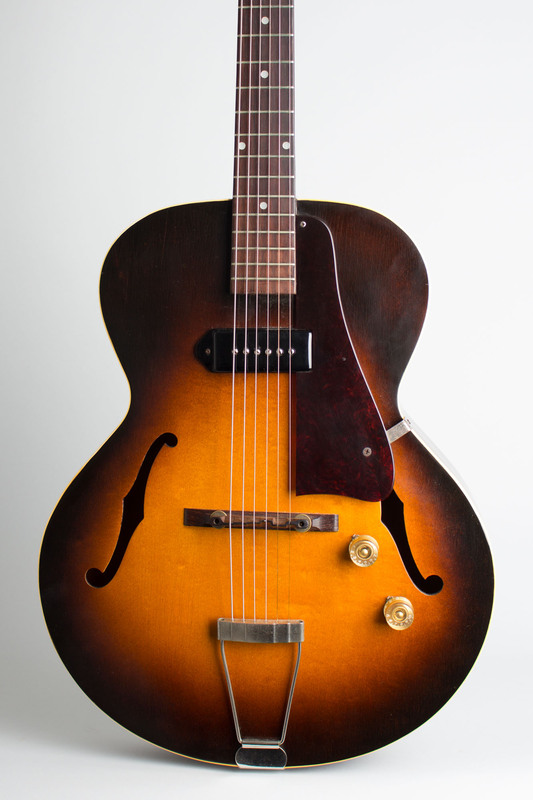 This is a superb original example of Gibson's post-WWII ES-125, the "bread and butter" electric during the late 1940's and early '50's. This guitar has a 16" wide body of laminated maple and the pickup is Gibson's classic P-90 with adjustable poles but the earlier narrow cover. 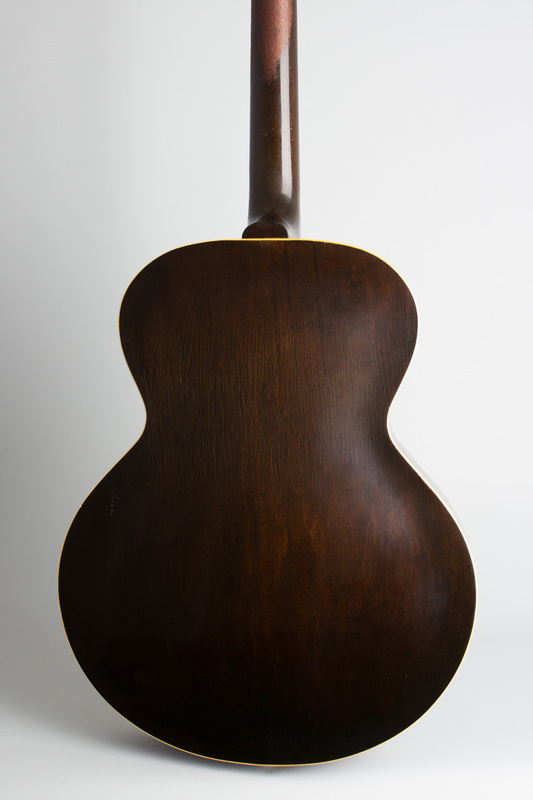 The tailpiece is an off-the-rack part not specific to Gibson and the tuners are Kluson Deluxes, 3 to a plate which had just come into use in 1949. 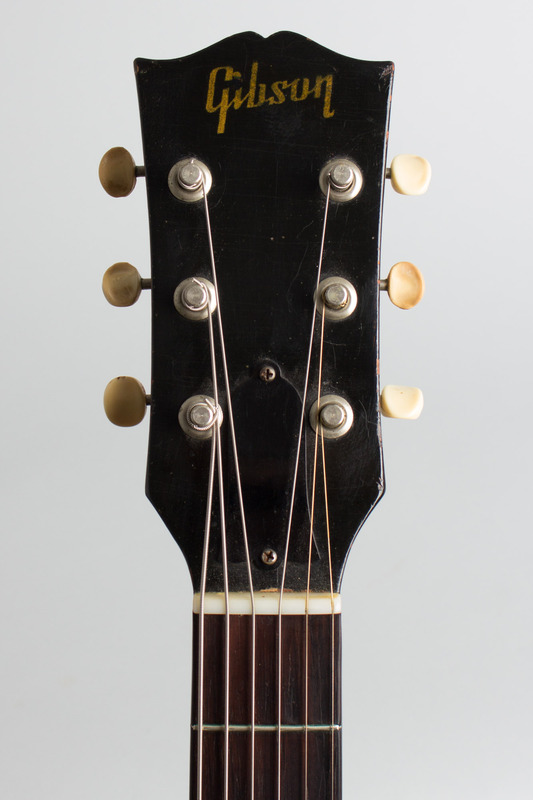 The knobs are the gold-backed "barrel" style with numbers-also a new feature this year- and the post-war "Gibson" logo decal is still the earliest "joined dot" version. 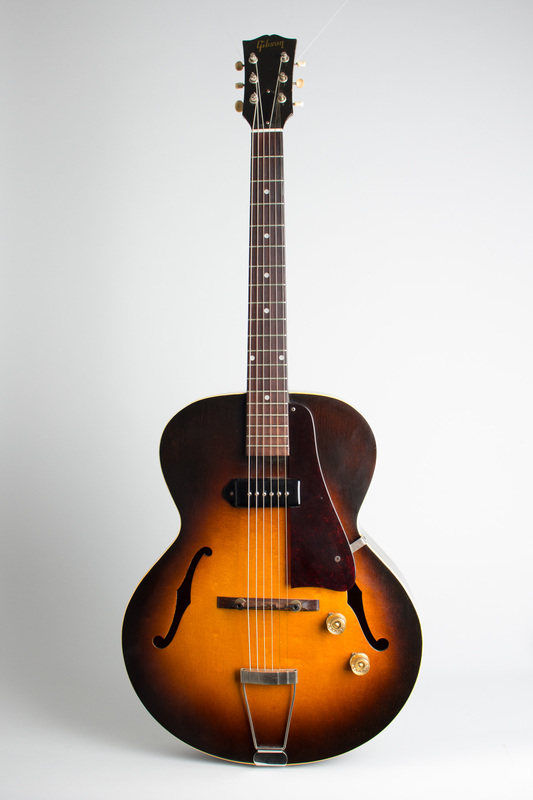 This is a very good playing and sounding guitar; although marketed as a student model the ES-125 were fully functional as a professional quality instrument and are often seen in period photographs with players of many styles. Overall length is 40 in. (101.6 cm. ), 16 in. (40.6 cm.) wide at lower bout, and 3 1/4 in. (8.3 cm.) in depth, measured at side of rim. Scale length is 24 3/4 in. (629 mm.). Width of nut is 1 11/16 in. (43 mm.). A superbly clean, all original example-one of the nicest 1950's ES-125's we have seen in a while. 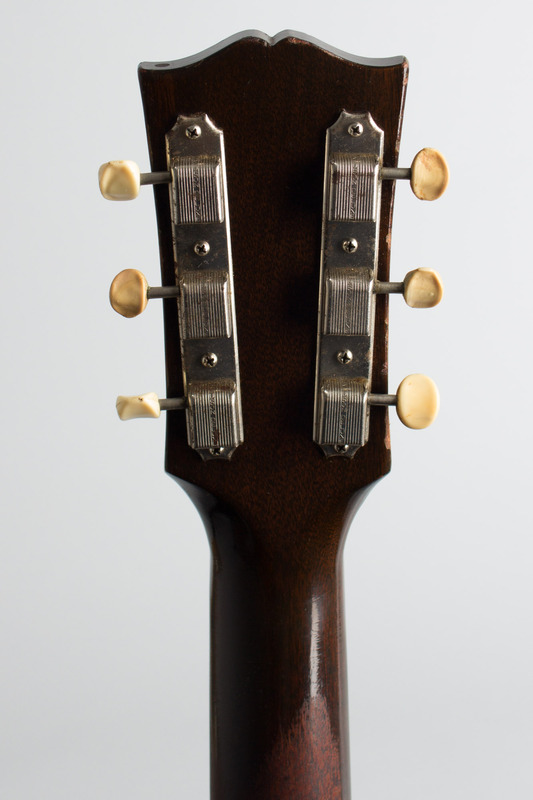 Some very minor wear and checking, some average light fret wear and finish loss to the back of the neck but really this guitar appears to have seen only very careful use in 60+ years. 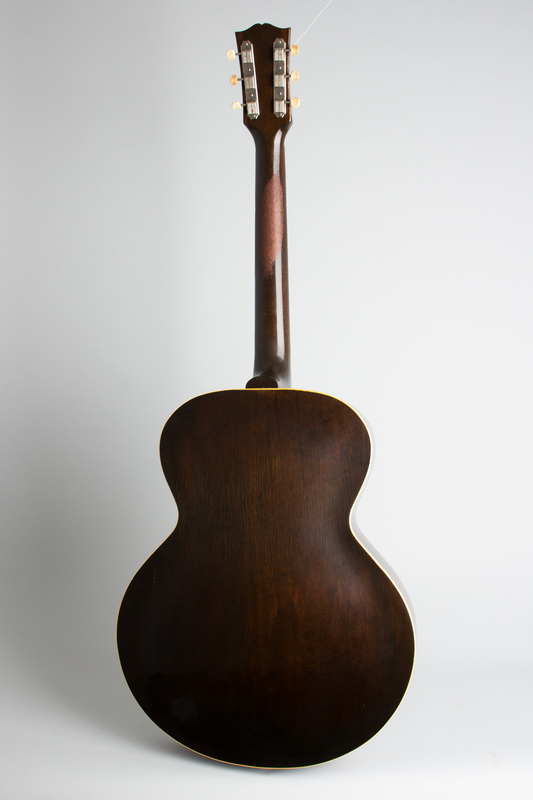 Played and loved-it retains a fabulous sound, a real treat in Gibson's bread-and-butter 16" "jazz box" that is actually suitable for any number of styles-complete with a lovely original HSC. Excellent Condition.